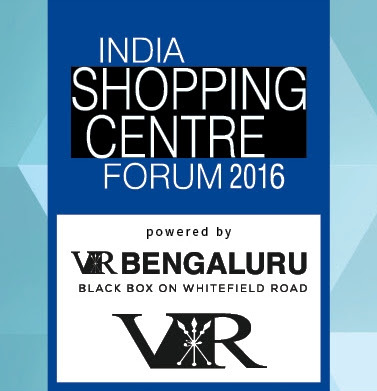 The 2016 edition of India Shopping Centre (ISCF), India's largest and the only knowledge sharing platform for the Retail Real Estate industry, organized by IMAGES Group, will be held on the 11th and 12th May, 2016 at The Renaissance, Mumbai. Driven by the theme of 'Shaping the Thinking on the Future of Retail Spaces', this year’s forum will welcome a wide-ranging conglomeration of Indian and international experts in retail real estate and mixed-use land management, leasing and operations, along with a strong participation of the country's leading shopping centre tenants occupiers -- consumer brands and retailers -- as well as an exclusive showcase of innovations and products from shopping centre support businesses. With the focus being on the creation of 'Social Spaces’ centred on experiential, digital and immersive aspects, the 48 hours of this mega event will witness eye-opening panel discussions, and knowledge series sessions by international shopping centre experts, including Byron Lewis (Founder & CEO, Mall Solutions Europe), who will disclose path-breaking insights on the best-in-class practices at the iconic UK mall, Bluewater, which has set the benchmark for the ultimate shopping and leisure experiences. Delegates will discover in detail how within a year of opening in 1999, Bluewater -- with over 300 stores, 60+ bars, restaurants and cafes along with 13,000 free car parking spaces attracting 28 million visitors per annum -- changed the face of retailing in the UK. With the need for shopping centre developers to invest in projects that dilute risk more effectively, ISCF 2016 will be focusing on developments that include -- but are not limited to -- retail spaces. With the objective being the creation of differentiated lifestyle experiences -- from housing to utilities, entertainment, travel and shopping -- developers and occupiers can expect an altogether fresh perspective on intelligent, mixed-use retail spaces. Amitabh Taneja, Chairman & Managing Director, IMAGES Group and Chief Convener, ISCF said, "With modern retail valued at an estimated Rs 6.3 trillion in 2016 and growing at over 25 per cent CAGR, India needs rapid growth of quality retail real estate. That being said, it must also be remembered that of the three main real estate asset classes -- residential, commercial and retail -- the last is the most difficult to crack. Retail developments require specialist knowledge, which a large chunk of shopping centre developers in India today lack." "With this in focus, the 2016 edition of ISCF highlights the creation of lifestyle experiences for modern Indian consumers, in which retail is a key ingredient. Developers need to find intelligent ways to manage risk, while also creating transformational lifestyle addresses that offer every convenience to the consumer. Our vision is to change perspectives on what really makes retail real estate development a profitable business," Amitabh Taneja added. The event is expected to be a mega networking platform featuring heads of shopping centre developers, real estate funds and investors, retailers and market intelligence and support organizations from India and across the world. Discussion topics will range from incorporating Omni channel experiences in malls to maximizing ROI for retail-centric developments, from stunning mall design case studies to intuitive technologies that extend shoppers' dwell times in malls, among many other critical issues. The event will also feature the highly-respected 9th Annual IMAGES Shopping Centre Awards, which will recognize excellence in the shopping centre development business in India, during FY 2015-16. Large and mid-size developments from across India will be vying for multiple honors at the grand ceremony on May 12, 2016. In a first-of-its-kind exercise in the world, 200+ top retailers across retail segments and verticals have joined in to make this a robust mall benchmarking index and recognize outstanding achievers with ISCA 2016 trophies at the India Shopping Centre Forum. · ‘Funding’ in Shopping Centres – How we can make it a More Desirable Investment Class? Some of the illustrious speakers present this year will be Mr. Andrew J Taylor (Senior Managing Director, Macquarie Infrastructure & Real Assets, Hong Kong), Mr. Byron Lewis (Founder & CEO, Mall Solutions Europe), Mr. Krish Iyer (President & CEO, Walmart India), Ms. Tara Subramaniam (CEO, JM Financial Credit Solutions), Mr. Vikas Oberoi (Chairman & MD, Oberoi Realty), Mr. Abhishek Malhotra (Co-Head, Consumer Industries & Retail Products Practice, AT Kearney), Ms. Pushpa Bector (EVP and Head, DLF Mall of India), Mr. Neeraj Bansal (Partner and Head of Building, Construction and Real Estate, KPMG India), Mr. Vishal Mirchandani (CEO - Retail & Commercial, Brigade Enterprises), Mr. Pankaj Renjhen (MD Retail, JLL), Mr. Rajneesh Mahajan (Executive Director, Inorbit), Mr. Rohit George (MD, Xander Advisors India; Mr. Alok Tandon (CEO, Inox Leisure), Mr. Sanjay Dutt (Managing Director, Cushman & Wakefield), Mr. Yogeshwar Sharma (Executive Director, Select CITYWALK) ; Mr. Sanjeev Rao (Director, Raymond), Mr. Abhishek Bansal (ED, Pacific Malls), Mr. Rahul Rai (Executive VP and Head - Real Estate Business, ICICI Prudential Asset Management), and many more. Recognized by the international retail community through its B2B Magazines, Conferences, Exhibitions, Research Volumes, and Web Portals, the IMAGES Group is a retail intelligence organization that is trusted as the catalyst for profitable growth of modern retail through knowledge platform leadership.